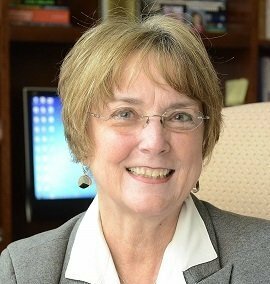 The local firm committed to meeting the essential needs of the BioTech community. 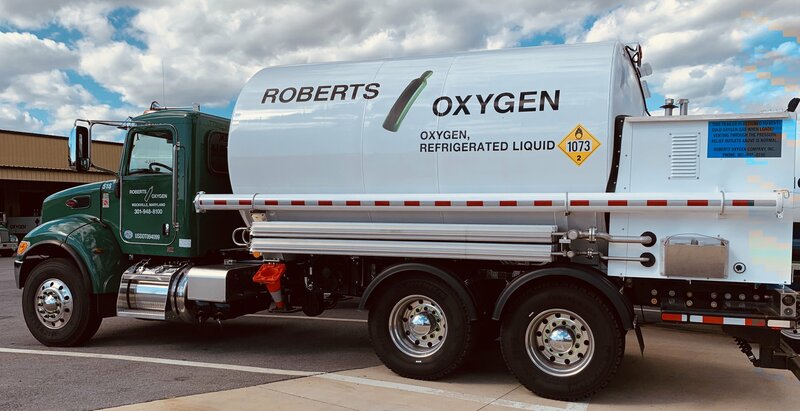 You’ve probably seen the Roberts Oxygen trucks on the road around Maryland for years. They are easy to spot because they are always delivering. This family-owned business has had a sterling reputation for reliability and excellence for over 50 years. 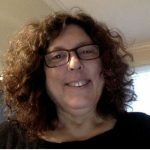 They attribute that to their focus on meeting customer needs, and always having a “live” person to answer every incoming call. For those in the biotech industry that’s a win-win. Not only will Roberts Oxygen deliver what you need on the schedule you set, but they also stand ready to help you out if you’re in a jam; which they’ve done on many occasions. 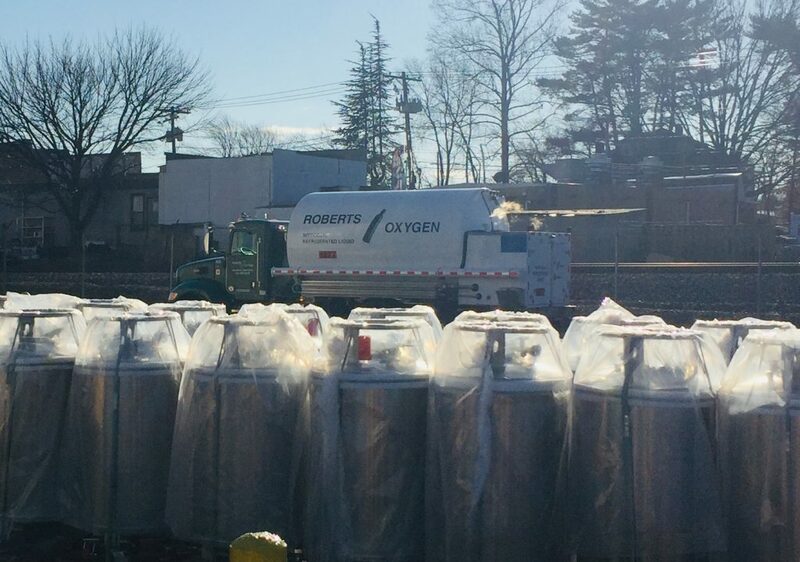 To better serve the biotech community, Roberts Oxygen recently made a major investment; with a new state of the art DRY ICE PRODUCTION FACILITY. This represents the only commercial DRY ICE production in Montgomery County. Biotech processes require sufficient quantities of dry ice to maintain subzero temperatures for their specimens. Because the production facility is located in Roberts Oxygen’s Gaithersburg facility, local biotech firms can now have their dry ice delivered the next business day (or SAME DAY if needed). It is important that the dry ice can be delivered promptly because all dry ice gradually loses its cooling power, even when it is properly packaged. The ability to obtain dry ice directly from the source within one or two days of its production is the key to having a product that is at its peak performance; something that Roberts’ can now guarantee with this new facility. 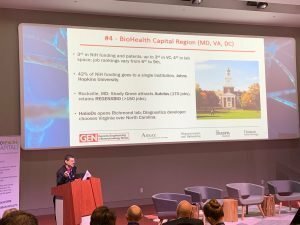 Not only that, but biotech companies in the BioHealth Region are now able to purchase dry ice not only from a local company but also from a local company with a stellar reputation and commitment to customer service. Dry Ice being produced into a 500 lb storage container. 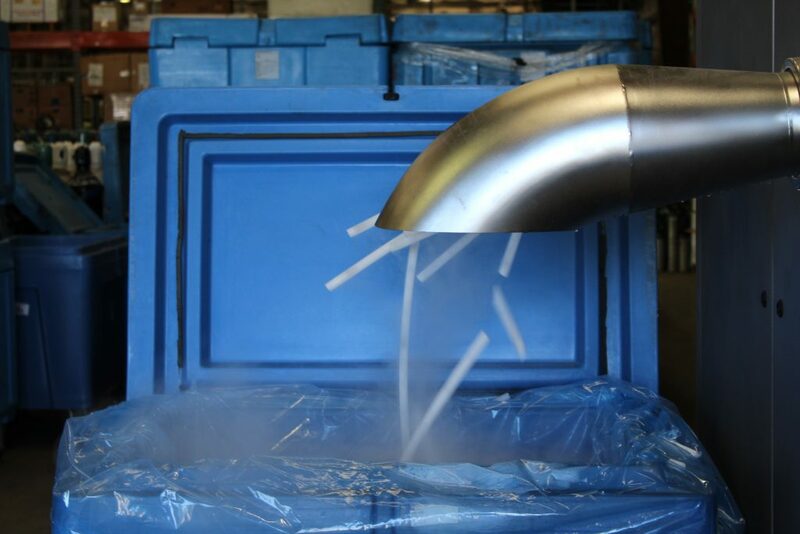 Dry ice machines use liquid CO2stored in a 50-ton tank, to produce dry ice. As the ice falls into the 500-pound insulated container below, it breaks into smaller pieces known as pellets or rice. When the bin is full, it is closed and then wrapped in plastic to ensure a tight seal until and during transport. Customers can have deliveries on a regular schedule, or as needed. Dry ice is also available at Roberts Oxygen retail locations where it is sold by the pound. Roberts Oxygen offers a full suite of Lab Gases available to the growing biotech community. In fact, sitting outside their factory are 50 brand new 240L refillable Liquid Nitrogen Dewars that will soon make their way to labs across the state. Also an integral part of biotech processes, liquid nitrogen is used to maintain the subzero temperatures required for sample storage and transportation. 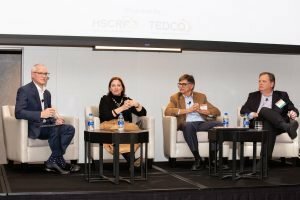 Seeing so many dewars ready for deployment is not only a sign of the health of their business, but that of a very robust biotech sector that saw banner growth in 2018 across Maryland. With this new investment, Roberts Oxygen is ensuring a supply of high quality dry ice to the regional biotech community. Combine that with their proven excellence and reliable delivery schedules and it’s a win-win for the BioHealth Capital Region. Visit Roberts Oxygen for more information on their dry ice facility, or any of their other products and services.